With the final design signed-off and engineering development work progressing apace, Aston Martin reveals the first images of the new Aston Martin V12 Zagato (road car) scheduled for production later in 2012. The Aston Martin V12 Zagato is the pinnacle of the Vantage range. It is also the latest expression of a successful creative collaboration that has given rise to a series of striking GT cars over the last half-century, the original and most iconic of which being the DB4GT Zagato. Not only does this masterpiece rank amongst the most desirable, collectable and valuable cars in history, its 50th anniversary provided the inspiration for the V12 Zagato. Though commemorating a great Aston Martin of the past the Aston Martin V12 Zagato could be no mere pastiche of the original. Instead the project was seen as the perfect opportunity to take Aston Martin's ethos of technology and tradition to a new and exciting level. 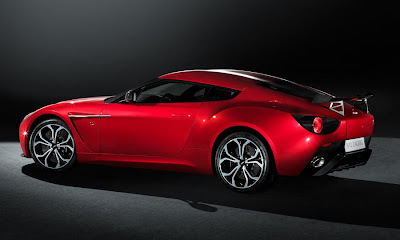 To this end the V12 Zagato combines the modern ideas, materials, processes and technology pioneered on One-77, while remaining true to the purity and craftsmanship of its illustrious forebear. For Aston Martin's CEO, Dr Ulrich Bez, the V12 Zagato is "a celebration of both Aston Martin's heritage and its future". He continues: "Our relationship with Zagato stretches back more than 50 years. Together in that time we have created a series of very special cars. The first - the DB4GT Zagato - is a true icon: fast, beautiful and incredibly desirable. In the V12 Zagato I believe we have captured the spirit of that car and combined it with a confident twist of modernity to give it a character all of its own." Initial design concepts for the Aston Martin V12 Zagato were explored in early 2010. Inspired by Zagato's bold and individual styling signatures Aston Martin's Director of Design, Marek Reichman, and his Gaydon-based design team relished the challenge of shaping the V12 Zagato, creating a car that pushes the boundaries of Aston Martin's design language, yet pays tribute to the DB4GT Zagato. Demonstrating Aston Martin's ability to rapidly bring ideas to fruition the Zagato programme quickly gained momentum, the design team working hand-in-hand with engineers and artisans to complete the build of a pair of concept cars in the spring of 2011. May 2011 saw the Aston Martin V12 Zagato make its world debut at the prestigious Villa d'Este concours. Entered in the Concept Cars and Prototypes class, the V12 Zagato wowed the judges and the crowd, taking first place against impressive opposition. In June the Villa d'Este winner - along with the second prototype car - made the Aston Martin V12 Zagato's world racing debut at the gruelling 24 hour endurance race held at the Nürburgring. Both cars completed the ultimate durability test, continuing Aston Martin's 100 per cent finishing record in this notoriously tough race. After an overwhelmingly positive response from customers, the decision was made in July 2011 to build a strictly limited run of V12 Zagatos. Since then, Aston Martin's design team have worked to refine the sports car's detailing and aerodynamic performance while staying faithful to the original design concept. At the same time engineers based at Gaydon have been putting prototypes through the company's rigorous development programme to ensure the V12 Zagato performs as well as it looks. Every Aston Martin is a unique combination of advanced materials, technology and time-honoured craftsmanship. The Aston Martin V12 Zagato takes this philosophy to a level previously seen in the company's exquisite One-77 supercar, which completes its build run this year. 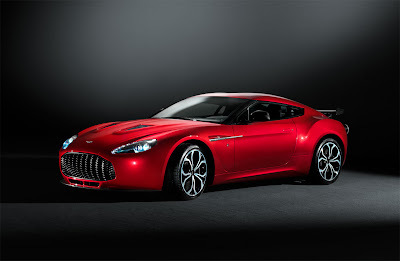 Built at Aston Martin's global headquarters in Gaydon, Warwickshire, production of the V12 Zagato will be strictly limited to no more than 150 cars. Creating each V12 Zagato is a painstaking process that takes approximately 2,000 man-hours to complete. 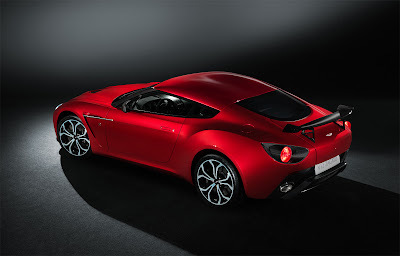 Just like the One-77, the V12 Zagato is constructed from a combination of hand crafted aluminium and carbon fibre. The bonnet, signature 'double-bubble' roof and doors are hand-crafted aluminium, while the front and rear fenders, door sills and boot lid surround are made from carbon fibre. This serene, laboratory-like space is perfectly suited to the task of creating special cars such as the V12 Zagato. It is here that time is lavished upon the fitment and installation of an array of bespoke components, including the side glass and the distinctive rear window, which features a curved surface that continues the sculptural lines of the 'double-bubble' roof. All the exterior brightwork around the windows has a contemporary black finish to compliment the exposed carbon fibre components. Fitment of the hand-crafted interior and upholstery is also completed in this dedicated build area. Like all Aston Martins when viewed as a whole the Aston Martin V12 Zagato is an artful composition of powerful lines and compelling proportions, but when viewed up close it reveals sophisticated, sculptural surfaces and jewel-like details. The exposed elements of carbon fibre on the front splitter, A-pillars, rear lamp pods, diffuser, door mirror cases and rear wing all display the same perfectly symmetrical weave and smooth resin finish. 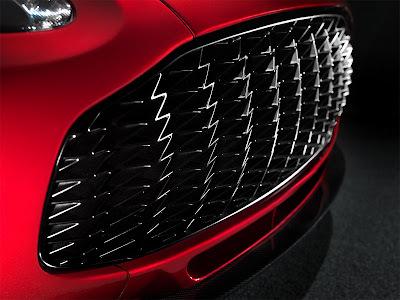 Likewise the bold new grille is formed in a unique three-dimensional composite material mesh that echoes Zagato's famous 'Z' moniker. More delights are found inside. Seven Bridge of Weir hides - in semi-aniline finish to offer durability while preserving the natural texture of the leather - are used to trim the V12 Zagato's interior. Hand-stitched quilting of a unique design creates a flowing pattern that evokes a dynamic sense of movement across the seats and headlining, while 'Z' embroidery in the headrests and rear parcel shelf add a further flourish. Satin-finish carbon fibre on the dashboard and centre stack is perfectly complimented by piano black accents and satin black rotary switchgear. Carbon fibre sill plaques with 'V12 Zagato' inlaid metal script provide a distinctive finishing touch. A work of art built by skilled craftsmen to be driven and enjoyed by the world's most discerning car collectors, the Aston Martin V12 Zagato is a fitting tribute to its illustrious ancestor. On-sale now priced at £330,000 (plus local taxes) the production specification V12 Zagato will be showcased at the Geneva Salon International in March 2012. First deliveries are scheduled for Autumn 2012. 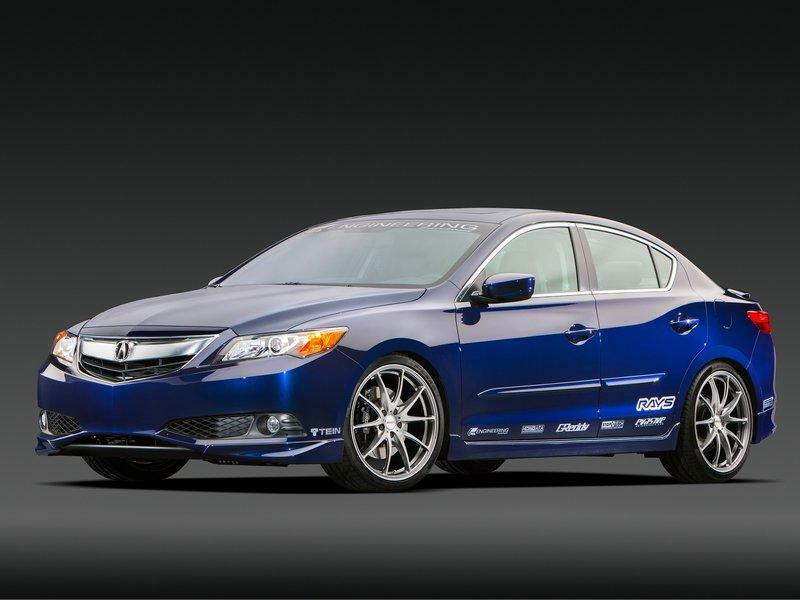 A supercharged Acura ILX "Street Build" project car made its debut in the Acura booth at the 2012 SEMA Show. Built by Evasive Motorsports, the ILX luxury sedan features an Acura Genuine Accessories aero kit and a collection of aftermarket modifications designed to provide a fun, daily drivable car that is tastefully done. The supercharged ILX "Street Build" project marks Acura's return to the SEMA Show after a six-year hiatus, building on the strength of the all-new 2013 ILX luxury compact sedan. "With sporty dynamics, premium standard features and a starting price of $25,900, the ILX is the ideal gateway vehicle to the luxury market for younger buyers." said Mike Accavitti, Vice President of National Marketing Operations for American Honda Motor Co., Inc. "The ILX project cars displayed at SEMA exemplifies how potent the platform is for enthusiasts, adding to the momentum the new model is gaining." The Acura ILX "Street Build" by Evasive Motorsports is designed to appeal to the sophisticated tuner by using selective parts that enhance the driving experience without sacrificing drivability. Starting with a 2013 ILX 6-Speed Manual with Premium Package, a supercharger kit from CT Engineering and an ECU tune with Hondata's FlashPro bumps the output of the 2.4-liter Inline-4 to 250 wheel horsepower. The prototype SP Elite exhaust from Greddy adds a throaty exhaust note. For the exterior, the Acura Genuine Accessories aero kit is matched to a set of 19-inch Volk G25 wheels wrapped in Pirelli P Zero tires. 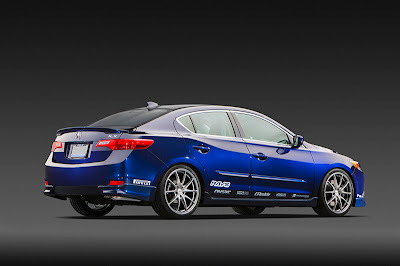 Tein Street Advance coilovers give the ILX an aggressive stance while offering damping force adjustability. The 2013 Acura RDX, the second generation of Acura's five-passenger crossover SUV, will up the ante with a new approach to achieving both advanced performance and fuel efficiency via a new engine, transmission and all-wheel-drive system. The 2013 RDX rides on a 4-wheel independent suspension with a MacPherson strut front and multi-link rear suspension design. A longer wheelbase, wider track and lower center of gravity provide the foundation for the new RDX's improved handling and ride quality. 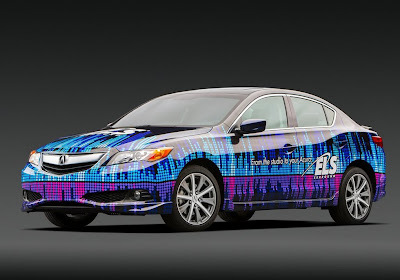 New chassis technology for 2013 includes Acura-exclusive Amplitude Reactive Dampers and a new Motion Adaptive Electric Power Steering system that replaces the previous hydraulic steering. 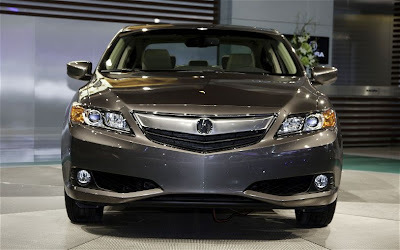 The 2013 RDX will be available in front-wheel-drive and all-wheel-drive variants. Standard features for 2013 Acura RDX include bold new 5-spoke 18-inch wheels and improved 4-wheel disc brakes that include an Anti-lock Braking System (ABS) with Electronic Brake Distribution (EBD) and Brake Assist. Not only do the brakes provide better performance, but they also incorporate improvements to lessen brake drag for reduced rolling resistance and improved fuel economy. Replacing the turbocharged 2.3-liter inline 4-cylinder used with the previous RDX, the 2013 RDX will now have as standard equipment a 3.5-liter V6 engine that produces 273 horsepower — 33 more than the outgoing model. For even higher performance and improved fuel economy, the Acura RDX makes use of an all-new 6-speed automatic transmission with a new lock-up torque converter. The RDX also gets a new, lighter weight all-wheel-drive system that provides outstanding performance and safety with increased efficiency to achieve higher fuel economy. 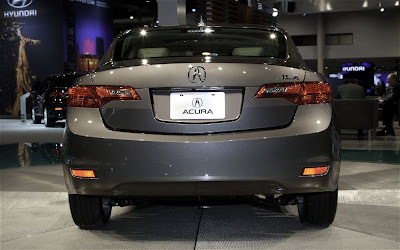 With an EPA estimated city/highway fuel economy rating of 20/28 mpg, front-wheel-drive versions of the 2013 Acura RDX are expected to offer the best fuel economy of any gasoline-powered V6 luxury SUV in the class. All-wheel-drive models will deliver an EPA estimated city/highway fuel economy of 19/27 mpg. The RDX boasts a sleek and more aerodynamic body, evolving Acura RDX from a sporty, compact SUV to a more formal SUV appearance with a longer, sculpted hood and styling that is more elegant and sophisticated to match the Acura philosophy of timeless, beautiful design. 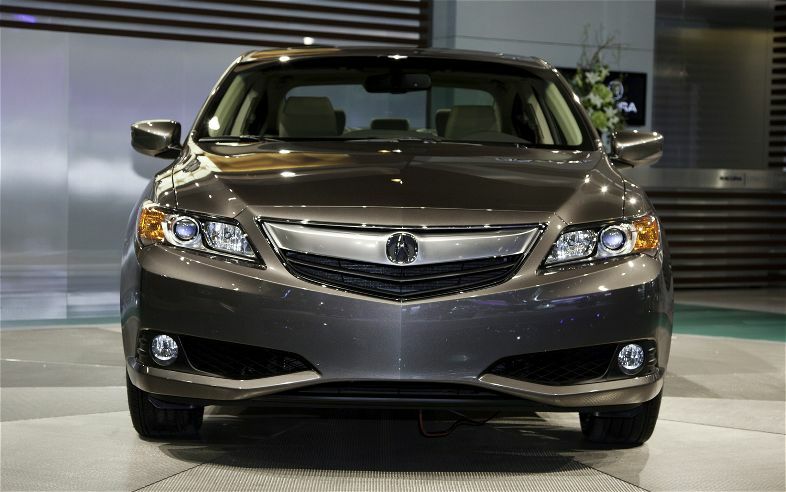 Inside the 2013 RDX, new sweeping shapes, matte surface trim, and generous use of leather combine to give the RDX interior an upscale look and luxury feel that Acura customers have come to expect. Abundant use of sound deadening materials and Active Sound Control team to provide an exceptionally quiet cabin. Additional interior features, such as larger door openings, more passenger room, increased cargo volume and an available power rear tailgate make the Acura RDX interior even more accommodating and flexible. The 2013 RDX will receive a host of new technologies including Pandora® internet radio interface, SMS text message feature, a Keyless Access System with smart entry and pushbutton start, and a three view rear camera. 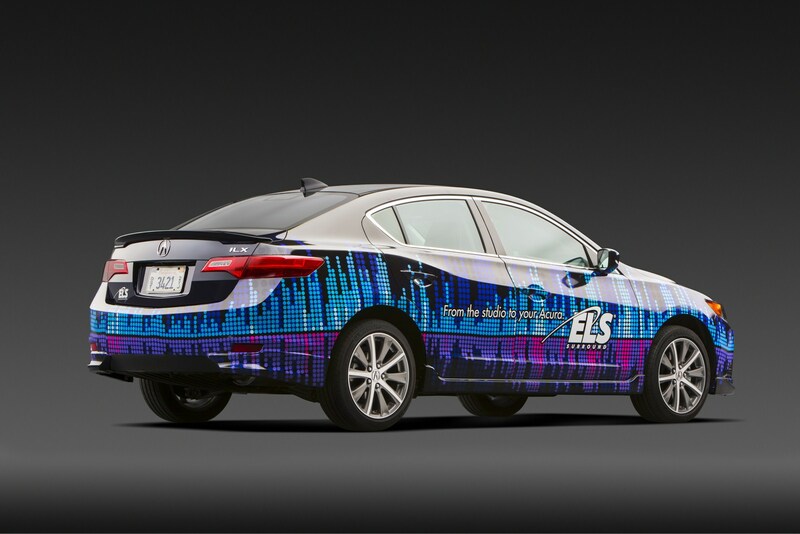 An available Technology Package will provide a full complement of relevant technologies, including an Acura ELS Surround® audio system, AcuraLink® Satellite Communication System, Acura Navigation System with Voice Recognition™, AcuraLink Real-Time Traffic with Traffic Rerouting™, and AcuraLink Real-Time Weather™ with radar image maps. New for 2013, an even more advanced navigation system utilizes a hard disk drive (HDD) with 60 gigabytes of storage capacity— including 15 gigabytes that can be allocated for music storage. Passenger safety has always been a cornerstone of every Acura model. 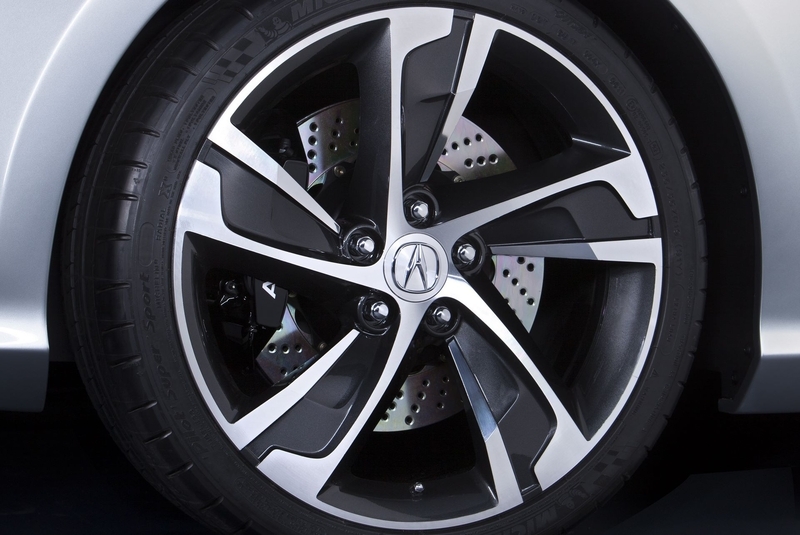 In addition to using Acura's acclaimed Advanced Compatibility Engineering™ (ACE™) body structure, the 2013 Acura RDX employs new design features and myriad high strength materials aimed specifically at occupant protection. Although yet to be tested, Acura anticipates that the RDX will achieve top crash safety ratings from both the NHTSA and IIHS. The 2013 RDX will be produced (using U.S. and globally sourced parts) exclusively by the company's East Liberty, Ohio plant — home to one of four of the top five-rated assembly lines in North America in the J.D. Power and Associates' 2011 Initial Quality Study (IQS). The first generation Acura RDX is produced at the Marysville, Ohio auto plant. The all-new 2013 RDX crossover SUV will go on-sale at Acura dealerships in early Spring 2012 with a manufacturer's suggested retail price (MSRP) starting at $34,320. 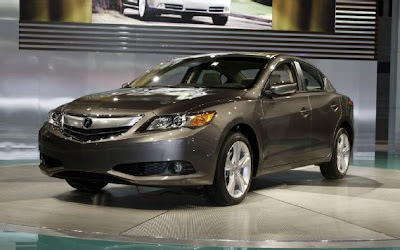 The 2013 Acura ILX compact sedan is an all-new model that is positioned as the gateway into the Acura brand. The primary target customers for the new Acura ILX are Generation Y - successful 20 and 30-somethings moving into the luxury car ranks but looking for high-value propositions in their purchases. "First-time luxury buyers tend to place a high value on exterior styling, affordability and environmental issues, and that's what we have created with the new Acura ILX," said Jon Ikeda, head of the Acura Design Studio. "The strategy behind this new model is to position ILX as the first opportunity for many young buyers to enter the luxury market." Sleek and sporty, the Acura ILX combines luxury, performance and efficiency. While maintaining a strong emphasis on stylish and aerodynamically efficient exterior design, the ILX features a large and airy greenhouse that provides excellent outward visibility. As a five-passenger luxury sedan, the Acura ILX combines compact proportions with a spacious passenger interior and ample cargo space - perfect attributes for young professionals on the go. The Acura ILX will feature three advanced, sporty and efficient powertrain choices, including Acura's first-ever gas-electric hybrid. The entry-level ILX will be powered by a 2.0-liter inline 4-cylinder engine producing 150 horsepower at 6,500 rpm and 140 lb-ft of torque at 4,300 rpm. Paired with a Sequential SportShift 5-speed automatic transmission, the ILX 2.0L will deliver an EPA estimated city/highway fuel economy of 24/32 mpg. For those who seek a more dynamic driving experience, the Acura ILX can be equipped with a 2.4-liter engine with an output of 201 horsepower at 7,000 rpm and 170 lb-ft torque at 4,300 rpm. Mated to a close-ratio, six-speed manual transmission, the ILX 2.4L will deliver an EPA estimated city/highway fuel economy of 20/29 mpg. Marking the debut of Acura's first ever hybrid model, the ILX Hybrid makes use of a 1.5-liter inline engine and an Integrated Motor Assist® electric motor. Paired with a Continuously Variable Transmission (CVT), the Acura ILX 1.5L Hybrid will deliver an EPA estimated city/highway fuel economy rating of 35/38 mpg. The hybrid drivetrain uses the gasoline engine as the primary power source, while an electric motor provides additional power when needed. A lithium-ion battery pack is used to capture and store electricity for the 20 horsepower electric motor. Together, the gasoline engine and electric motor produce 111 horsepower at 5,500 rpm and 127 lb-ft of torque between 1,000-3,000 rpm. During braking, the gasoline engine deactivates and the electric motor acts as a generator to recharge the battery pack. At a stop, the 1.5-liter engine can enter idle-stop mode to save fuel and reduce emissions. The engine remains off until the brake pedal is released. 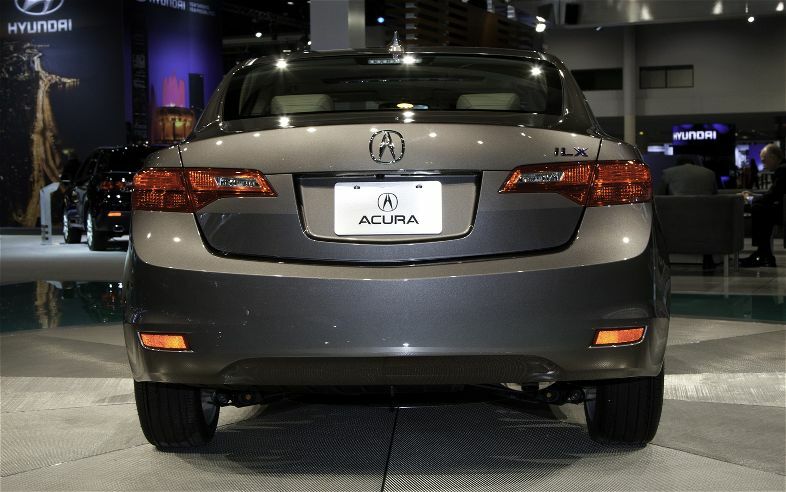 The Acura ILX chassis utilizes advanced MacPherson strut front and multi-link rear suspension systems, along with new Amplitude Reactive Dampers. The dampers operate in two distinct performance parameters to simultaneously provide superior ride comfort and precision handling. In addition, Motion Adaptive Electric Power Steering is used for excellent steering feel and improved fuel efficiency. The result is a chassis with a high level of refinement, confident handling and a nimble and sporty driving experience. The Acura ILX will feature a high-quality, well-appointed interior that is smart, spacious and sporty. It will offer a number of new, high-value features including a standard Keyless Access System with smart entry and pushbutton start, along with Pandora® internet radio interface and SMS text message function for smart connectivity with the world. As with all Acura models, the ILX will have a long list of standard features, multiple trim levels (a Premium Package and Technology Package), and excellent standard safety features - including Acura's acclaimed Advanced Compatibility Engineering™ (ACE™) body structure, front, side and side-curtain airbags, 4-channel anti-lock brakes and Vehicle Stability Assist™ (VSA®). Although yet to be tested, Acura anticipates that the Acura ILX will achieve top crash safety ratings from both the NHTSA and IIHS. The available Premium Package features leather seating surfaces, heated front seats, an upgraded 360 watt stereo system, a rear view camera and an Active Sound Cancellation system to make for a quieter cabin. Building on the Premium Package, the available Technology Package adds Acura's award winning ELS Surround® audio system and a full complement of relevant technologies, including AcuraLink® Satellite Communication System, Acura Navigation System with Voice Recognition™, AcuraLink Real-Time Traffic with Traffic Rerouting™, and AcuraLink Real-Time Weather™ with radar image maps. The navigation system makes use of a hard disk drive (HDD) with 60 gigabytes of storage capacity - including 15 gigabytes that can be specifically allocated for music storage. With the available Premium or Technology Package, a new multi-view rear camera is used. 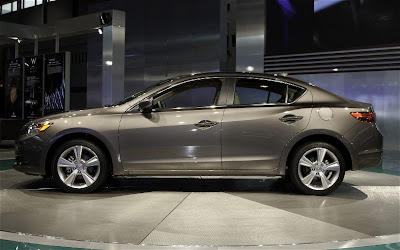 The Acura ILX will be manufactured (using U.S. and globally sourced parts), exclusively at the company's state-of-the-art Greensburg, Indiana plant, one of only three plants worldwide to receive J.D. Power and Associates' 2011 Platinum Award for outstanding product quality, and the top award for any factory in North America. 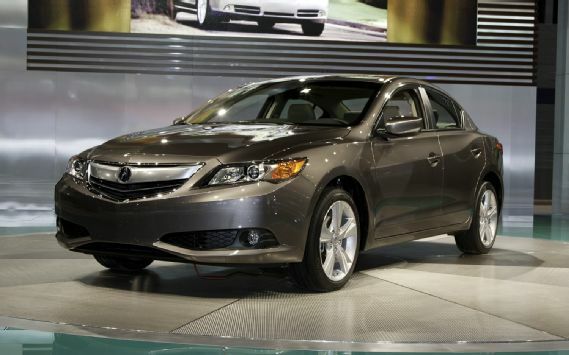 The Acura ILX Concept is the precursor to an all-new Acura luxury compact sedan scheduled for launch in Spring 2012. To be positioned as the gateway to the Acura brand, the ILX will feature three different powertrains, including Acura's first-ever gas-electric hybrid. "First time luxury buyers place the highest value on exterior styling, affordability and environmental issues and that's a virtual definition of what we have created with the new Acura ILX," said Jon Ikeda, head of the Acura Design Studio. "The strategy behind this new model is to position ILX as the first opportunity for many young buyers to enter the luxury market." The lineup of ILX models will include an entry-level model powered by a 2.0-liter inline 4-cylinder engine; a high-performance model with a 2.4-liter inline 4-cylinder engine paired with a six-speed manual transmission; and a 1.5-liter gasoline-electric hybrid powertrain, Acura's first-ever hybrid offering. The Acura ILX will feature a high-quality, well-appointed interior that is smart, spacious and sporty. It will offer a number of new, high-value features, including a smart entry keyless access system and pushbutton start, along with Pandora internet radio interface and SMS text message function for smart connectivity with the world. 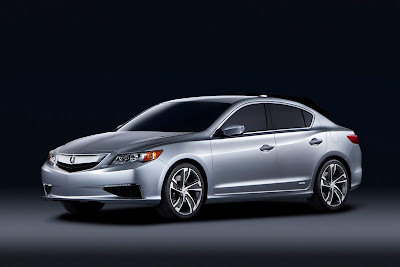 As with all Acura models, the ILX will have a long list of standard features, different trim levels (that will include a Technology Package), multiple transmission choices, and excellent standard safety features — including Acura's acclaimed Advanced Compatibility Engineering™ body structure, front, side and side-curtain airbags, 4-channel anti-lock brakes and Vehicle Stability Assist™ (VSA™). 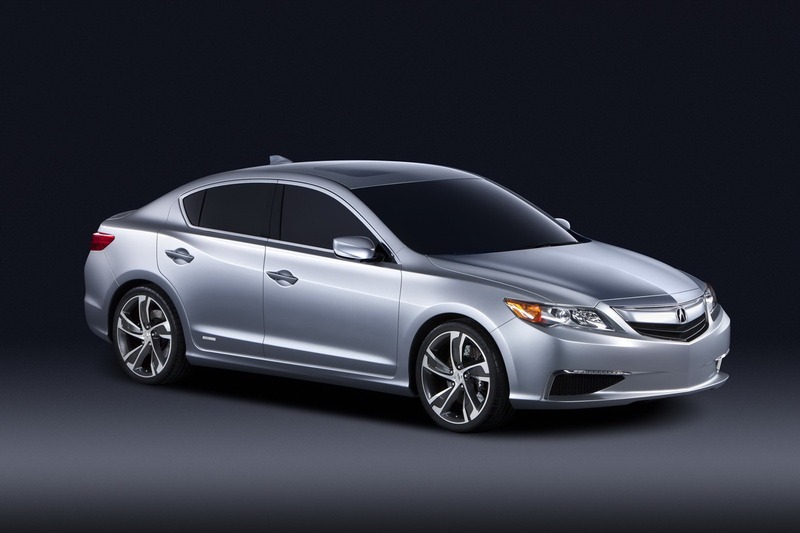 Acura anticipates that the ILX will achieve top ratings in both NHTSA and IIHS crash safety testing. 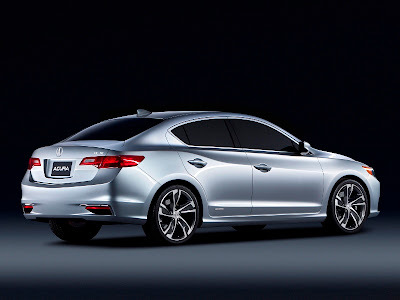 The new Acura ILX will be manufactured exclusively by Honda Manufacturing of Indiana, LLC, in its Greensburg, Ind. plant — one of only three plants in the world to receive J.D. Power and Associates' 2011 Platinum Award for outstanding quality.